"When it rains look for rainbows, when it's dark look for stars"
So I went with rainbow colors and stars. I happened to find this stars die in my die collection and die cut it from Bristol smooth white cardstock. I colored all the stars with Zig markers in the rainbow colors. I took the negative piece and adhered it to a piece of black cardstock. Then I painstakingly adhered dimensional tape to each star and inlaid into the opening. Love how the black shows through a bit. I wasn't going to use the black cardstock originally, but I'm glad I did! Each star is covered with Spectrum Noir shimmer. I added the sentiment to tie the black into the background and some crystals to finish it off. 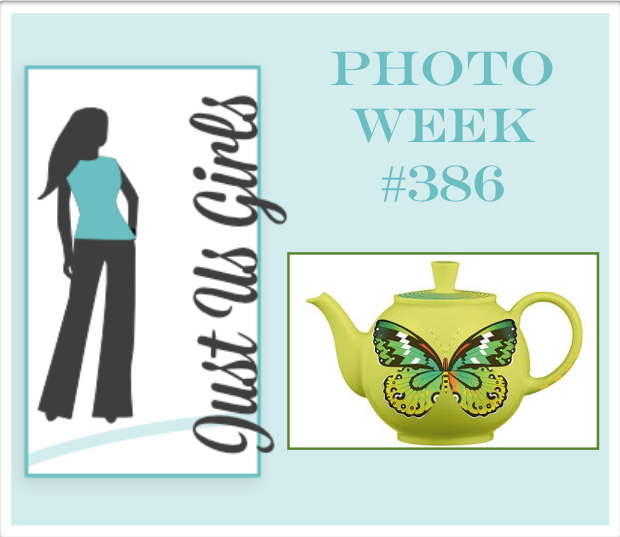 You can see more from the Time Out design team and our guest for this challenge, Marilyn, on the Time Out blog. We are also sponsored by Uniko, so check that out as well while you are at the blog. Hey there! Vicki chose a pretty green teapot for the Just Us Girls Photo Week challenge. 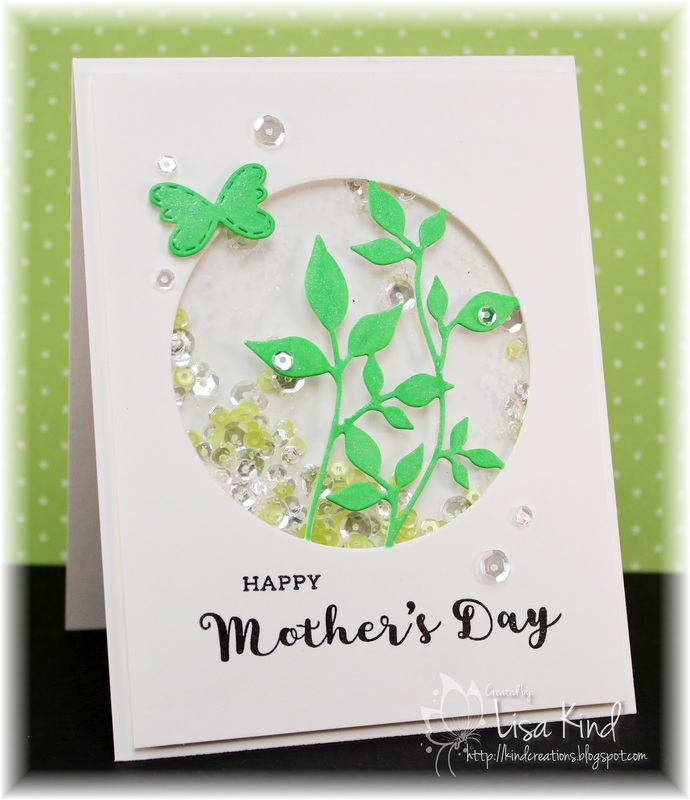 I pulled out this sweet die and die cut it from white cardstock then colored the leaves and stems with a green copic marker. I colored some scrap white paper and die cut the butterfly from it as well. I made the card a shaker because of the opening. I added some sequins on the front and stamped the sentiment. There's some Spectrum Noir shimmer on the butterfly and leaves. You can see more from the JUGs design team and our March guest, Nance Salkeld, on the JUGs blog. This is her last week with us and we've enjoyed having her play along with us. I'm also adding this to the Less is More blog. The challenge is to use a frame. I think this fits! Hi friends! 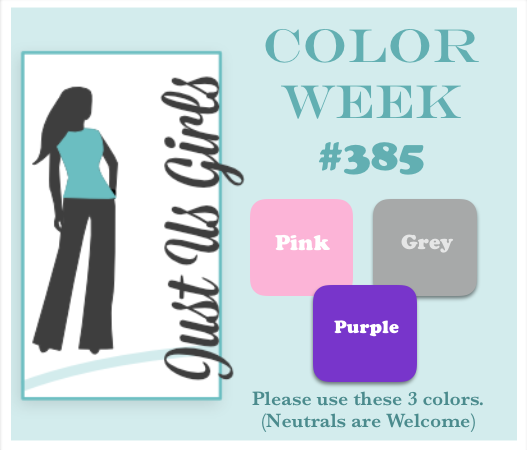 I'm the hostess over at Just Us Girls color challenge this week, and I have some fun springy colors for you to work with. I wanted to do a floral card and found this stamp set from Papertrey Ink in my never been used box. It's a layering set and I love the way it layers up! I used several inks on this (see below), keeping with the challenge colors. I matted it with this brushstroke paper and I ran the front of the base with a linen impression plate for some texture. Love the sentiment too! I stacked three of the together to give it some dimension. There is Spectrum Noir shimmer all over the sentiment and the floral spray. Sequins, of course, are always a nice way to finish off a card! Hey friends! The challenge over at Time Out is a CASE challenge. We have a lovely card to CASE. This card is by Jenny Mullins. 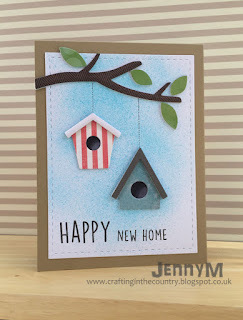 I love bird houses and these are so fun! 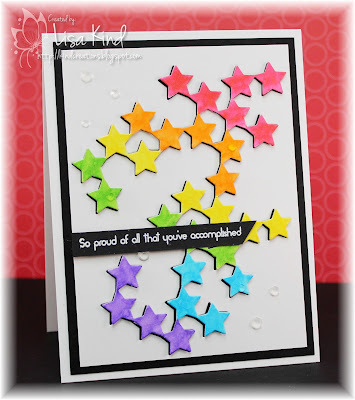 This challenge is sponsored by Verve, and Julee graciously gave the Time Out DT stamp sets to work with. I got this one called Hip Hop Bunnies. So cute! 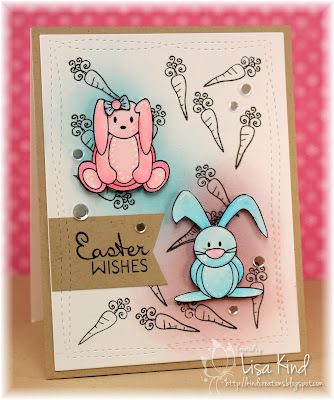 I chose two of the bunnies to color up and I placed them on the card similar to where the bird houses are and sponged some ink similar to Jenny's card. I also used kraft cardstock like she did. The white background looked plain, so I noticed that carrot stamp and decided to stamp it all over the background. The bunnies sort of look like peeps to me! 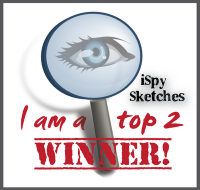 The winner of this challenge will get a stamp set of their choice from Verve. You can see more about the challenge and inspiration from the Time Out design team and our guest for this challenge, Izzy, on the Time Out blog. I'm also entering this in the 30 Day Coloring Challenge! Hi friends! 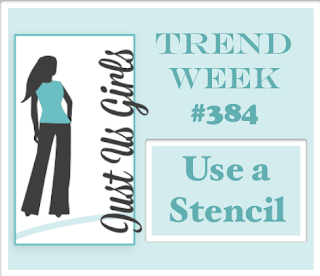 This week is Trend Week at Just Us Girls and Maria chose using a stencil. 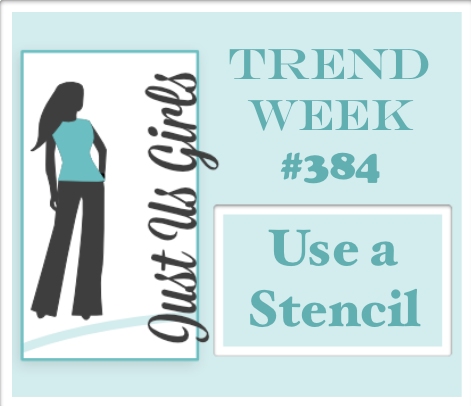 I love stencils! I chose one of the Woodblock Stencils from Papertrey Ink and paired it with Distress Oxide inks. I can't seem to stop using these! I started in the middle and worked my way out using a rainbow of inks. I sprayed it with Shimmer Spritz to give it some of that sparkle I love. I didn't want to cover up any of the pretty stencil, so I stamped the sentiment on a piece of vellum and wrapped it around the cardstock. I added some sequins and popped up this piece on fun foam and mounted it to a piece of violet cardstock. You can see more inspiration from the JUGs design team and our March guest on the JUGs blog. 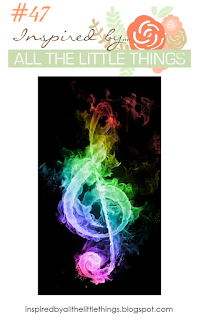 I'm also entering it into the Inspired by All the Little Things challenge. 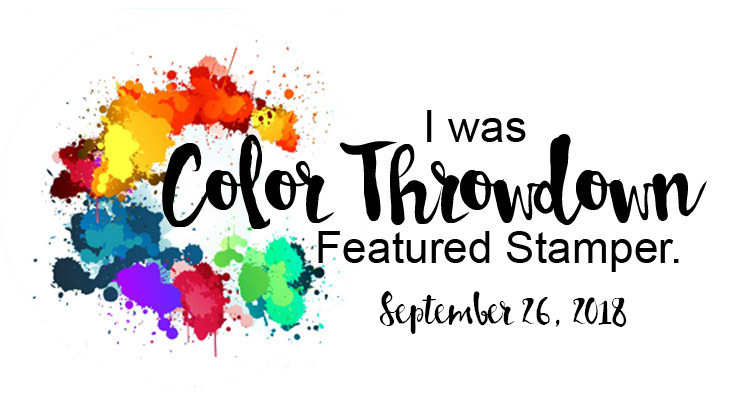 Loved the rainbow colors! Time Out #78 Reminder - It's Our 3rd Birthday! 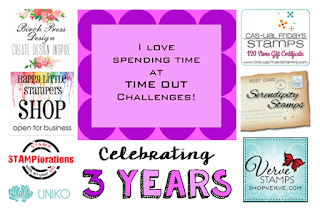 I'm back again to remind everyone that Time Out is in its second week of celebrating our third birthday! We are sponsored by these fine companies, so please stop by the Time Out blog to see what the prizes are! The challenge is to make a card based on the theme Love and/or Friendship. 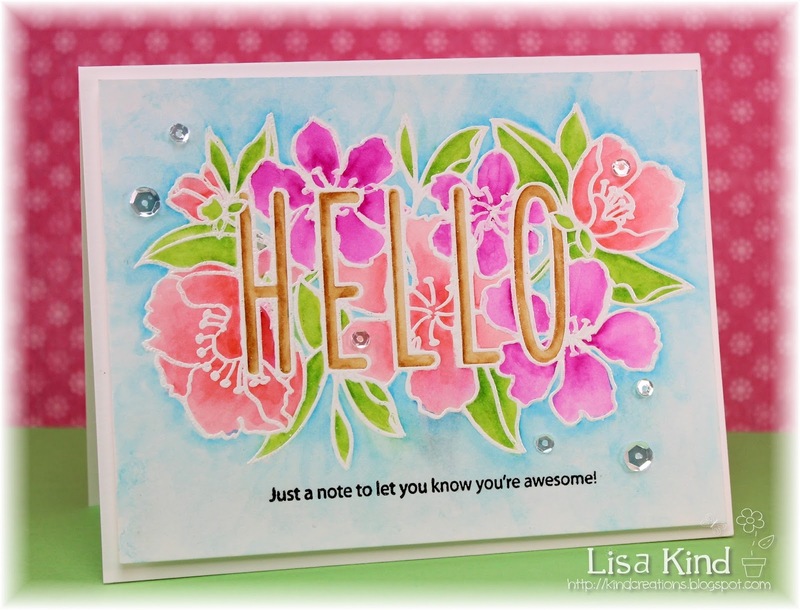 There's a twist to add spotlight stamping. I just got this stamp and I love it! It's a bit challenging to color, but I used the packaging to see where the flowers and leaves begin/end. I used Bristol smooth white cardstock because I wanted to use Zig markers. I stamped the image in Versamark ink and embossed it with white powder. 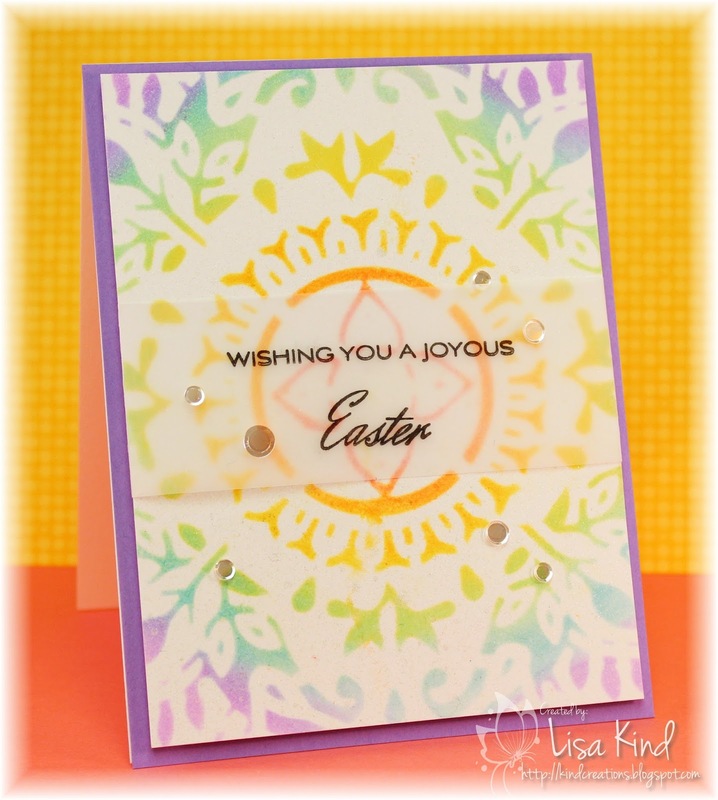 The coloring is very simple with the embossing. 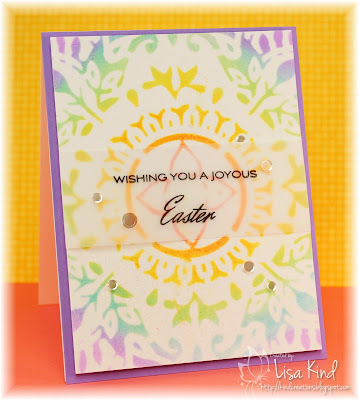 I stamped the sentiment below and added sequins. You can't tell in the photo, but I put some Spectrum Noir sparkle on the letters and leaves. The main panel is popped up with fun foam. We have four of our sponsors and some of their DT playing along with us as well as our guest for this challenge, Ardyth. You can see all the details on the Time Out blog. Hi everyone! It's Word Week over at Just Us Girls and Bobby chose the word GEOMETRIC. Fun word! Lots of possibilities! I've been going through my dies, and found this cute little goodie bag die from Lawn Fawn. I used to use templates on my Silhouette to make all kinds of boxes. I miss making them sometimes because they were so cute and fun to make. So I die cut this cutie and sponged my new Oxide Distress ink on it through a geometric stencil. Love those inks! Once I stenciled it, I put it together. 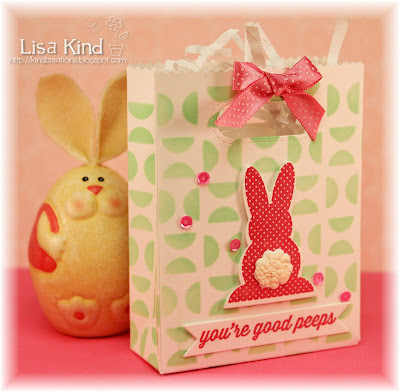 I then decided to make it an Easter-themed bag by die cutting the bunny and stamping it with pink ink. I also die cut the bunny's tail and added some liquid applique to it and heat it to make it fluffy. Love the sentiment too! I finished it off with some sequins and a bow. You can see more from our JUGs design team and our March guest, Nancy, on the JUGs blog. Time Out #78 - It's Our 3rd Birthday! Hey everyone! 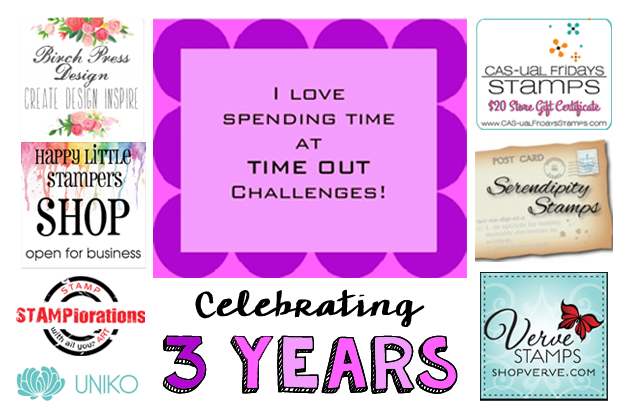 It's Time Out's 3rd Birthday and we are celebrating! Look at all the sponsors we have for our players for this challenge! So fun! 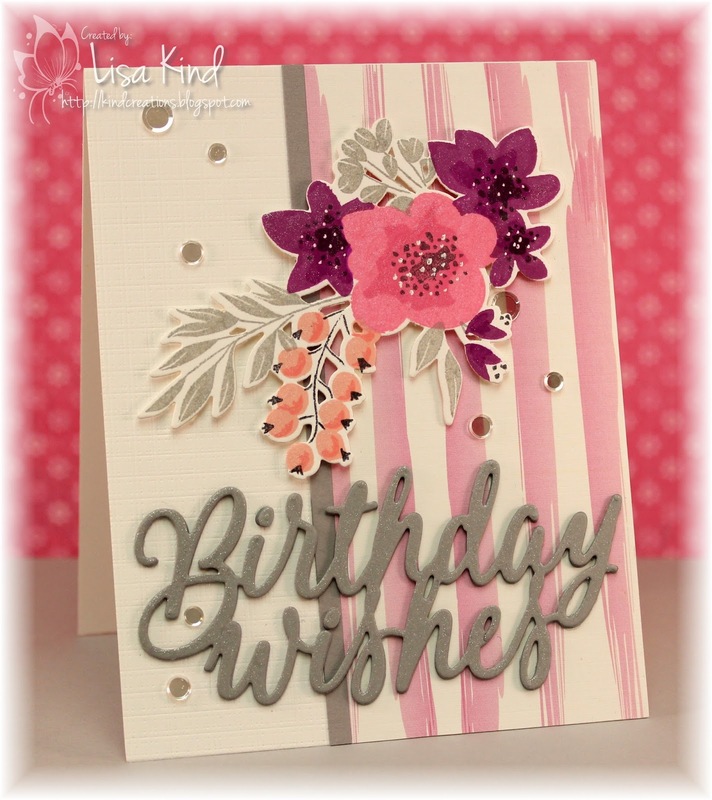 The challenge this time is Love and/or Friendship with the optional twist of spotlight stamping. I'm using a few new products on my card that I'm so excited about. 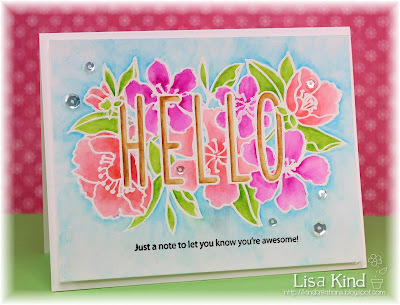 I just received the new Oxide Distress inks last Saturday and broke them open to make this card almost immediately! Let me tell you they are fabulous to sponge with! It's really effortless to get them to blend! I used six of the twelve inks on this background. They still work well with water as you can see by my water droplets. Once that was done, I die cut the skinny hello from that paper and the fat hello from black paper. I layered them together and covered the black with shimmer. 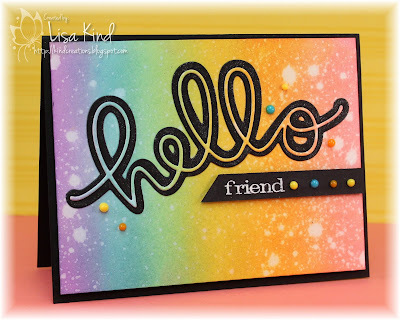 I embossed the word friend in white powder and finished it off with Nuvo Crystal Drops in three colors. We have these four companies doing a special blog post for our challenge and some of their DT members are playing along with us. 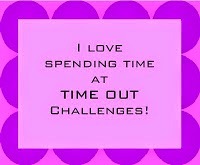 You can also see more from our Time Out DT and our guest for this challenge, Ardyth, on the Time Out blog.